The Shadow Conspiracy Supreme Chain available now! Strongest chain on the planet! The Shadow Conspiracy Supreme Chain is the strongest bmx chain on the planet! Colors include black, natural, chrome, gold, and copper. 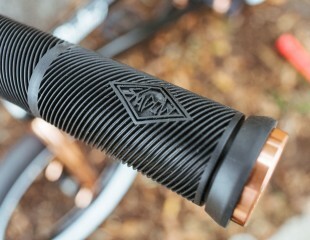 Click HERE to see more photos, complete spec info, and/or to order your own Shadow Supreme Chain. 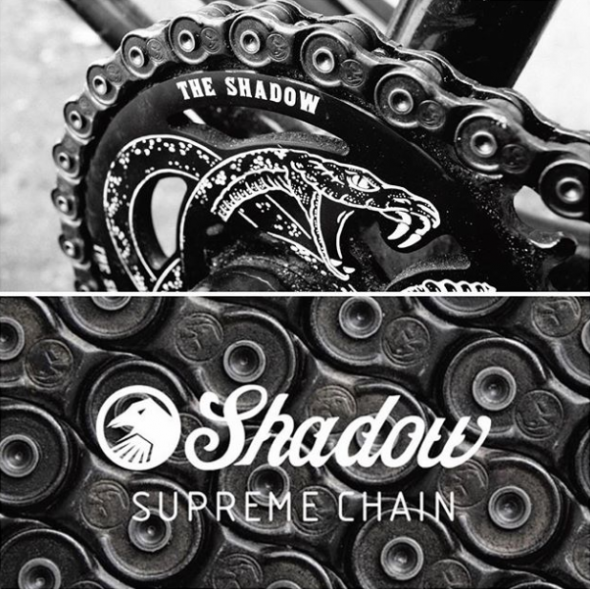 THE SHADOW CONSPIRACY INTERLOCK SUPREME HALF LINK BICYCLE CHAIN in comes in a 1/8″ width only. The half link set up offers more options for your rear wheel placement in the dropouts. 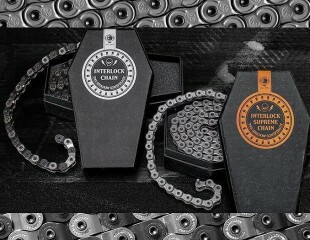 Pushing the limits is an understatement when it comes to the Interlock Supreme chain. The original and best half-link chain just got better. Using forging, a manufacturing process that has never been applied to a BMX chain before, Shadow was able to implement a completely unique plate and pin design to help eliminate all weak points and create the strongest BMX chain ever. Shadow’s new proprietary forging process allows them to condense the metal used in the chain plate to create the stiffest and hardest chain plate possible. Along with extra wide mushroomed pins and hardened rollers, this chain tested at an incredible tensile strength of 1500 kgs and higher! 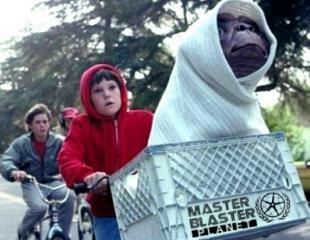 You can ride in confidence knowing you have the best technology available. This chain has 98 links which is aprox. 50″ long. 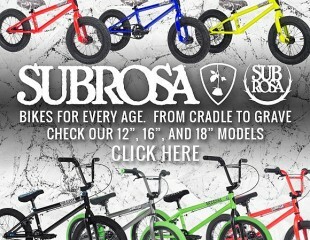 Average chain length for a BMX bike is 72 links which weighs 11oz. 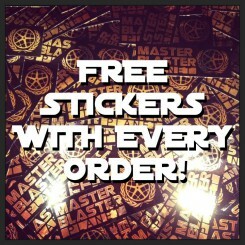 Includes 2 master pins. Compatible with 8t drivers and up. Fits 3/32″ and 1/8″ sprockets. 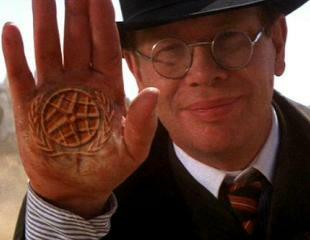 « Coming in March, new color drops from The Shadow Conspiracy, “FLAMINGO BLOOD”!